Plymouth took notice of how muscle cars began to deviate from their original recipe of cheap thrills. Thus, the Road Runner was created to bring that formula back into perspective. 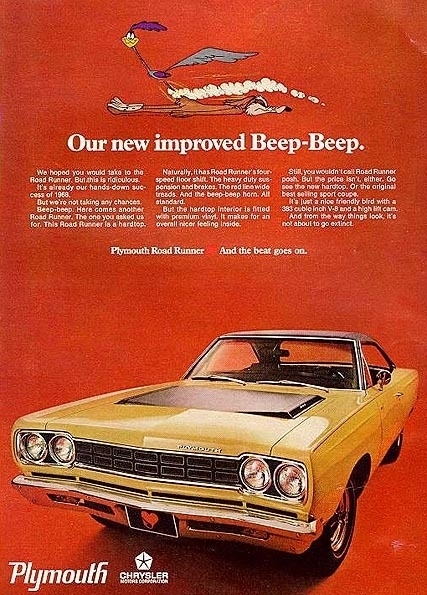 Plymouth paid Warner Brothers $50,000 to use the name and likeness of their Road Runner, as well as its famous "beep beep" horn, which Plymouth paid an additional $10,000 to develop. So, Plymouth set out to develop a back-to-basics muscle car. Everything essential to performance was upgraded; everything not essential was left out. The Road Runner was based on the Belvedere and early models didn't even have carpet, and just a rubber boot for the floor mount shifter so that a bench seat could be used. 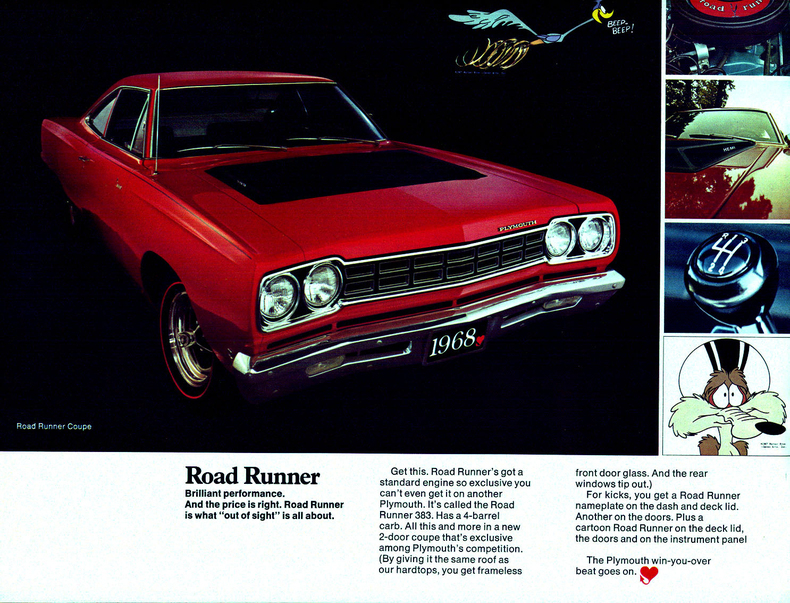 The standard engine was exclusive to the Road Runner and was a 383ci V8 rated at 335 hp and 425 lb-ft of torque. 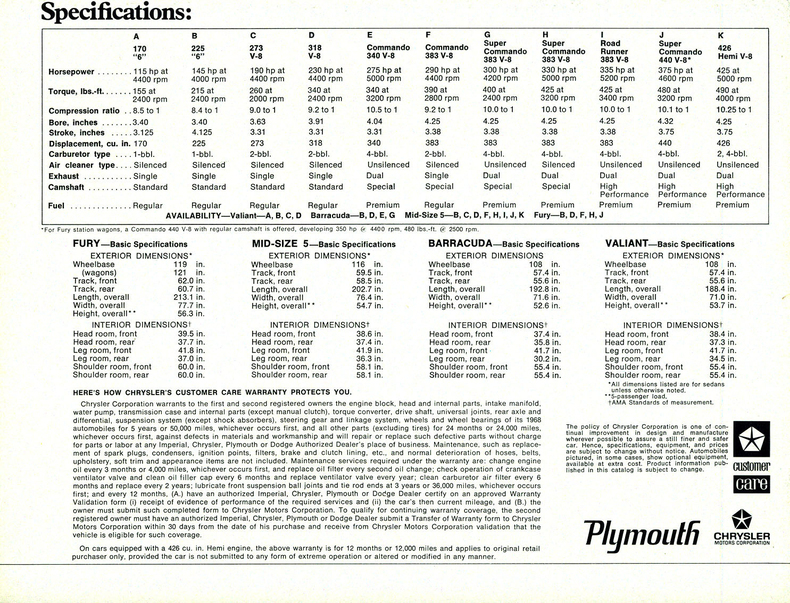 For an extra $714, Plymouth would install a 426 Hemi rated at 425 hp. In a car that could carry 6 people, it could also really haul! Capable of 13.5 second quarter miles its first year. 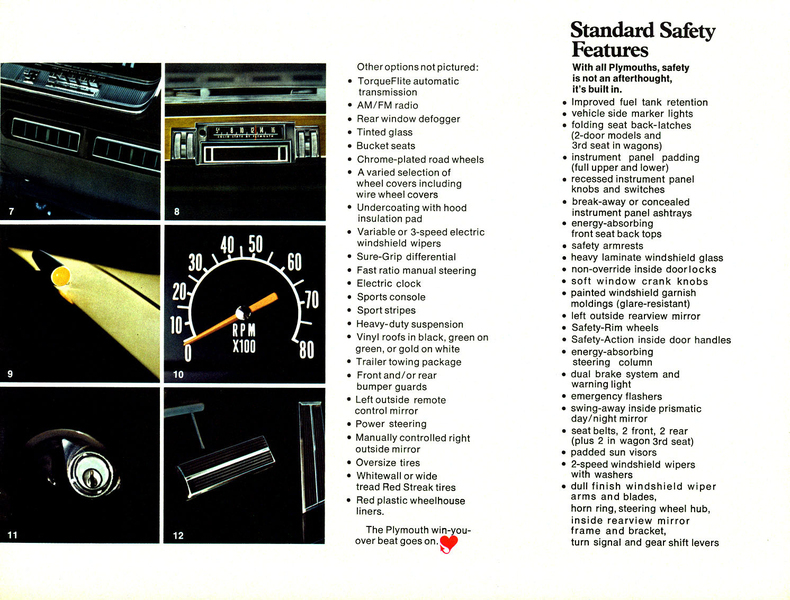 Standard transmission was a 4-speed manual and 3-speed TorqueFlite auto was optional. 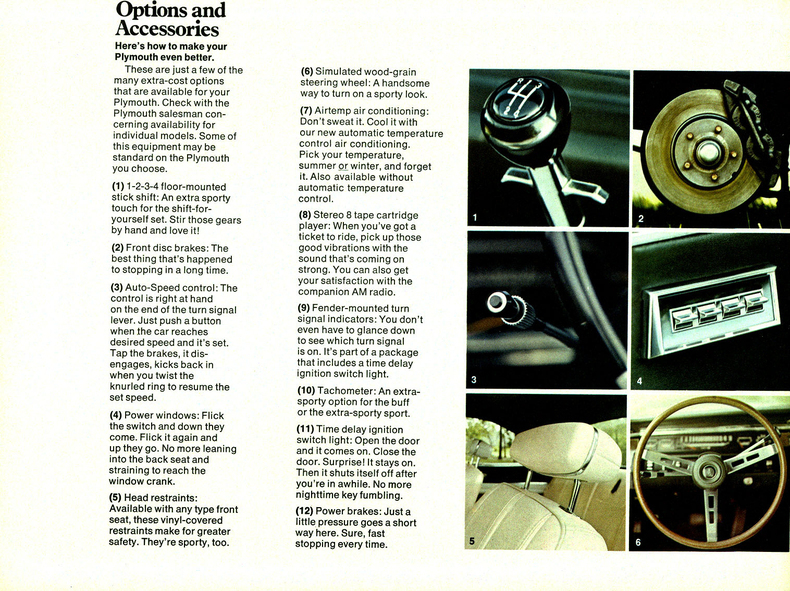 Later in the year, the Inland shifters were replaced with more precise Hurst shifters. Sales were underestimated at first year run resulted in the Road Runner taking third place amongst muscles cars right behing the GTO and SS 396. Dodge, after seeing the success of the Road Runner released the Super Bee late in the year.